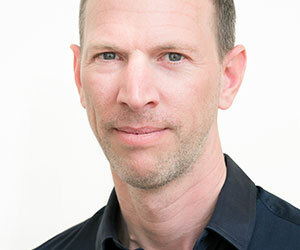 Tim Leberecht is the author of the book The Business Romantic (HarperCollins, 2015) and the founder of The Business Romantic Society. He is the chief marketing officer of NBBJ, a global design and architecture firm that helps organizations such as Amazon, the Bill & Melinda Gates Foundation, Boeing, Google, Samsung, Starbucks, and Tencent create meaningful experiences. Previously, he was the chief marketing officer of product design and strategy firm Frog Design, acclaimed for its work with Apple and many other Fortune 500 brands. His writing has appeared in publications such as Harvard Business Review, Entrepreneur, Fast Company, Forbes, Fortune, Psychology Today, and Wired. He has spoken at venues including TED, The Economist Big Rethink, DLD, the Silicon Valley CEO Summit, Commonwealth Club, Remix, and the World Economic Forum. His TED Talk “3 Ways to (Usefully) Lose Control of Your Brand” has been viewed by almost a million people to date. Leberecht is the co-founder of the 15 Toasts dinner series and an advisor to The Human Agency, a collective of social change-makers. He serves on the World Economic Forum’s Global Agenda Council on Values and on the board of Jump Associates, a strategy and innovation consultancy. He was born and raised in Germany and lives in San Francisco with his wife and daughter.